For the Love of Character: Bachelorette Party! Tomorrow we are off to Viva Las Vegas for my friend, Rachel's, bachelorette party! I'm excited for a fun weekend with the girls and to hopefully get in some fun partying, dinners, shows and girl time. It is also a great way to kick of my fun idea for next week! 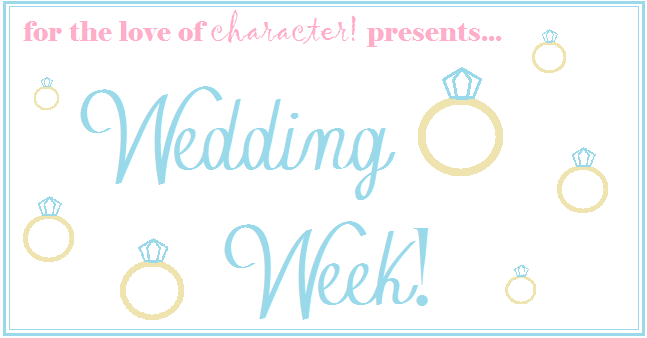 I decided to make next week "Wedding Week" to share some fun and creative ways to add some character to your big event! With a lot of friends getting married this year, it's been fun sharing everything I found and learned while planning my wedding - there is a lot and I mean a LOT out there. Every pool day needs some pool essentials, helps when they come in a cute Lolo bag! Beads and towels...what more could you want! Love my tank tops they had designed and I was so excited for the new glass! Can't wait for next Monday - hopefully we all survive the weekend!